Berardo, Kate; Deardorff, Darla K., eds. For HR directors, corporate trainers, college administrators, diversity trainers and study abroad educators, this book provides a cutting-edge framework and an innovative collection of ready-to-use tools and activities to help build cultural competence―from the basics of understanding core concepts of culture to the complex work of negotiating identity and resolving cultural differences. 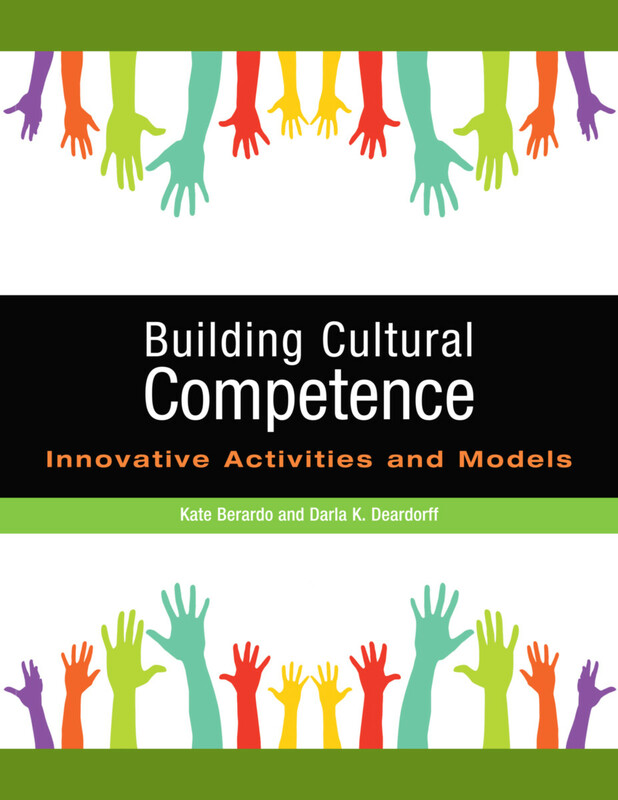 Building Cultural Competence presents the latest work in the intercultural field and provides step-by-step instructions for how to effectively work with the new models, frameworks, and exercises for building learners’ cultural competence. Featuring fresh activities and tools from experienced coaches, trainers, and facilitators from around the globe, this collection of over 50 easy-to-use activities and models has been used successfully worldwide in settings that range from Fortune 500 corporations to the World Bank, non-profits, and universities. Learn updates on classic models like the DIE (Description, Interpretation, Evaluation) framework and the U-Curve model of adjustment. Engage in new exercises to help build intercultural competence, using the practical step-by-step guidance on how to effectively facilitate these activities. Stay relevant and have positive impact with clients, organizations, and students with these well-organized, easy-to-implement, and high impact collection of frameworks, models, and activities. Post, Margaret A.; Ward, Elaine; Longo, Nicholas V.; Satlmarsh, John, eds. Abstract: The concern that the democratic purposes of higher education -- and its conception as a public good -- are being undermined, with the growing realization that existing structures are unsuited to addressing today's complex societal problems, and that our institutions are failing an increasingly diverse population, all give rise to questioning the current model of the university. This book presents the voices of a new generation of scholars, educators, and practitioners who are committed to civic renewal and the public purposes of higher education. They question existing policies, structures, and practices, and put forward new forms of engagement that can help to shape and transform higher education to align it with societal needs. 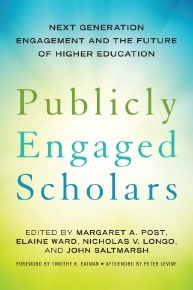 The scholars featured in this book make the case for public scholarship and argue that, in order to strengthen the democratic purposes of higher education for a viable future that is relevant to the needs of a changing society, we must recognize and support new models of teaching and research, and the need for fundamental changes in the core practices, policies, and cultures of the academy. These scholars act on their values through collaboration, inclusiveness, participation, task sharing, and reciprocity in public problem solving. 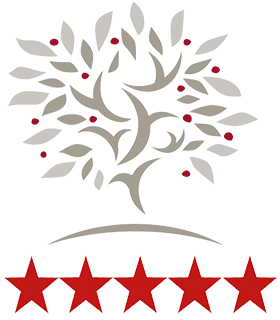 Central to their approach is an authentic respect for the expertise and experience that all stakeholders contribute to education, knowledge generation, and community building. Johnston, Lucas F.; Aftandilian, Dave, eds. Sexual violence on campus is a major issue facing students, faculty, and administrators, and institutions of higher education are struggling to respond. This forum brings together three responses to the problem, with a focus on the religious studies classroom. 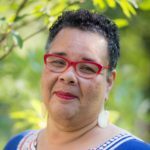 The responses move from the institution to the faculty to the classroom, exploring three separate but linked spaces for responding to sexual violence. The first contribution (Graybill) critiques common institutional responses to sexual violence. The second contribution (Minister) advocates for long-term, classroom-based responses to sexual violence and describes a faculty/staff workshop response. The third contribution (Lawrence) emphasizes the classroom, examining the issues that arise when perpetrators of sexual assault are part of the student body. Read together, the pieces offer a comprehensive view of the complicated intersections of sexual violence, the university, and pedagogical issues in religious studies. 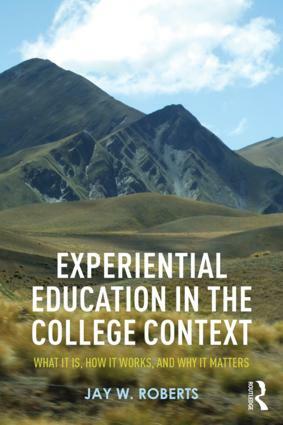 This chapter identifies the major forms of experiential education in terms of their institutional settings, core educational practices, and constituencies, while addressing where experience fits in the academy's educational mission. Community-based learning and research enhances individual learning experiences, and the culture and curriculum of an institution. 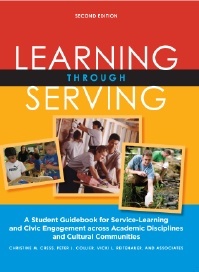 With a focus on administrative structure and classroom-based models, the authors address what is necessary to implement service-learning and community-based research. This chapter discusses the internationalization of higher education and the models for education abroad. 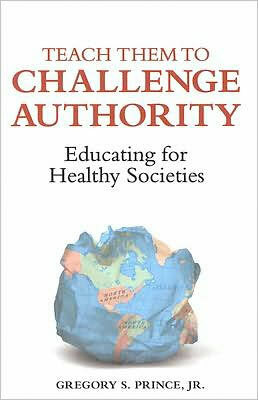 The authors address the specific challenges these programs face and provide strategies for overcoming them. This chapter discusses the intersection of performing arts, liberal arts, and experiential education through an exploration of operational and value-focused skills and active and intentional learning, as well as the application of these in a performing arts student’s capstone project. This chapter explains work-based learning and offers practical guidelines to teach and assess learning of this nature. The author emphasizes the importance of and strategies for effective reflective practice. This chapter explores some of the ethical challenges faced by students in experiential education and provides strategies for teachers, supervisors, and administrators to assist students in gaining the skills and practices necessary to deal with such challenges. This chapter challenges a negative view of assessment and explains the value of assessment to an experiential learning program. The author provides practical methods and models for involving faculty and measuring student learning. This chapter outlines how a college or university with limited financial resources can best utilize internal and external resources to launch a new experiential learning program or enhance an existing one. ch. 9 Campus Stories: Three Case Studies - In this chapter, three different sets of authors reflect on their experiences in creating or developing experiential learning programs. This case study examines the lessons learned from the University of Texas at Arlington experience in developing and designing a strategic plan including active learning and experiential education. The authors share the factors that contributed to the success of an experiential learning program at a small liberal arts college, and examine the consequences for students, faculty, staff, and the institution as a whole. 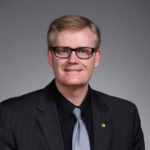 David A. Kolb's Experiential Learning Model provides the organizational change methodology for the implementation of innovative graduation requirements in experiential education at Purdue University Calumet. Drawing from their own experiential learning, the authors provide strategies for preparing an experiential education program and coping with the numerous challenges faced in developing this type of programming. This chapter describes the importance of developing the skill of deep reflection and calls for the establishment of a reflective curriculum strand to promote learning in the field. 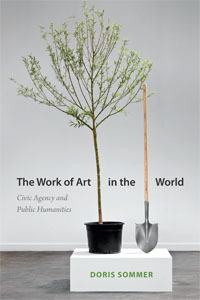 Posman, Ellen, and Locklin, Reid B., eds. Civic learning and teaching, a form of critical and democratically engaged pedagogy, is utilized in an upper-level undergraduate sexual ethics course to leverage public problem solving around the sexual violence on a mid-size Catholic collegiate campus. Through the course, students, faculty, staff, and community members work together to deepen understanding of the causes and consequences of sexual violence within society and the local community in order to evaluate and design programming for bystander intervention, education, and sexual violence prevention advocacy. After a discussion of the application of civic teaching and learning to sexual violence, the course module describes the learning outcomes and assignments used to assess them. See as well Donna Freitas's response to this essay, “The Risk and Reward of Teaching about Sexual Assault for the Theologian on a Catholic Campus,” published in this issue of the journal. 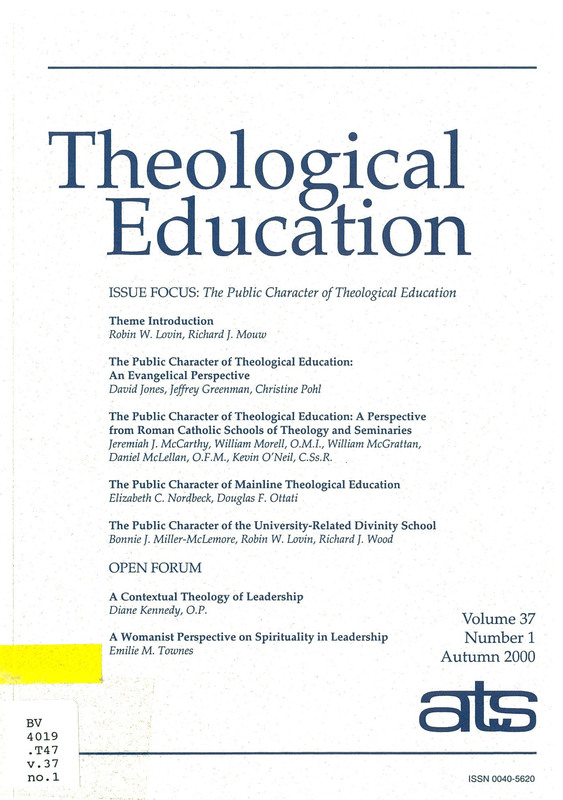 This article is a response to Elisabeth T. Vasko's essay “Civic Learning and Teaching as a Resource for Sexual Justice: An Undergraduate Religious Studies Course Module” published in this issue of the journal. Includes syllabi from a variety of college and university courses, across all disciplines, that have a strong flavor of “civic agency,” the capacity to work across differences to solve public problems, create lasting civic goods, and shape the world around us in democratic ways. The project emphasizes courses that speak to citizens as citizens, concerned about co-creating their communities of different scale. 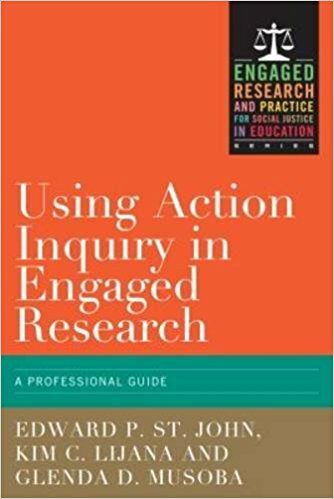 St. John, Edward P.; Lijana, Kim Callahan; and Musoba, Glenda D.
Using Action Inquiry in Engaged Research: A Professional Guide offers higher education and school professionals practical guidance and methods for using the Action Inquiry Model (AIM) in engaged research initiatives and community partnerships. 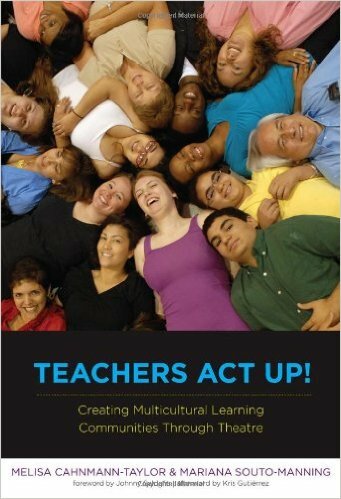 Replete with group exercises and case studies, this guide was originally developed to supplement workshops for faculty, administrators and students working on action initiatives that focused on critical educational issues facing local communities. It provides a useful framework and straightforward techniques for building empowering partnerships. • Evaluation: Integrating the evaluation of current programs and incorporating new initiatives into the reform process. 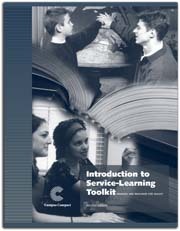 This guide provides two methods for learning the inquiry process: a step-by-step process for defining tasks for teams of researchers and practitioners working together to use research to inform the educational improvement; and sets of case studies on assessment and action inquiry to inform groups in collectively discussing problems and strategies, an approach that supports the classroom use of the Guide. ch. 2 The Oppressed or the Oppressor? How Much Power Does the Teacher Have? Multiversities are sprawling conglomerates that provide liberal undergraduate, graduate, and professional education. As well-springs of innovation and ideas, these universities represent the core of society's research enterprise. Multiversities, Ideas, and Democracy forcibly argues that, in the contemporary world, multiversities need to be conceptualized in a new way, that is, not just as places of teaching and research, but also as fundamental institutions of democracy. Building upon the history of universities, George Fallis discusses how the multiversity is a distinctive product of the later twentieth century and has become an institution of centrality and power. He examines five characteristics of our age - the constrained welfare state, the information technology revolution, postmodern thought, commercialization, and globalization - and in each case explains how the dynamic of multiversity research alters societal circumstances, leading to the alteration of the institution itself and creating challenges to its own survival. The character of our age demands reappraisal of the multiversity, Fallis argues, in order to safeguard them from so-called 'mission drift.' Writing from a multi-national perspective, this study establishes how similar ideas are shaping multiversities across the Anglo-American world. Teach students to love the library. Lagemann , Ellen Condliffe; and Lewis, Harry R.
Harvard deans argue it’s time to reimagine higher education’s civic mission. The public purposes of education should go beyond benefits to individuals and focus on a tripod of intellect, morality, and action, all grounded in a knowledge base of American history and constitutional principles. The first step forward in working with today's youth is to create a dialogue, and that is exactly what this exciting new book does. It helps you provide opportunities for young people to open up and explore their feelings through theatre, offering a safe place for them to air their views with dignity, respect, and freedom. The purpose of this manual is to provide a clear look at the process and specifics involved in the Hope Is Vital interactive theatre techniques. The organization is sequential, providing a blueprint for creating a workable plan. Beginning with warm-up exercises and bridging activities, the process moves forward to improvisational scenework, where students actually replace characters in the stories. It is at this point that young people engage in their own mini-theatre and look at choices, strategies, and communication. Clover, Darlene E. and Sanford, Kathy, eds. Braskamp, Larry A.; Engberg, Mark E.
As students develop cognitively, integrating knowledge in ways that reflect their learning, they also need to grow both interpersonally, by considering themselves as part of a larger whole, and intrapersonally, by establishing a belief system that can influence and guide their choices and experiences. Baker offers four (4) strategies for being a public intellectual in one's field: Embrace mass media; imrove your communication style; resist the urge to dumb down the message; keep communication channels open. 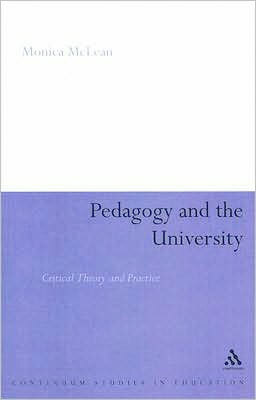 The Pedagogy of Public Work: Is FERPA just a red herring? This piece concerns "public work" in the sense of student assignments taking place outside the classroom or a closed Learning Management System. It is in the form of a Storify of a Twitter chat that took place March 26, 2012. Contemporary universities are very much an integral part of communities. However, while much has been written about teaching and research in universities, the "service" role of universities has been neglected. In an attempt to address this imbalance, The Academic Citizen looks at how these three roles interrelate and explores the idea of a compact between universities and society. Abstract: How can I apply learning and social justice theory to become a better facilitator? Should I prepare differently for workshops around specific identities? How do I effectively respond when things aren’t going as planned? 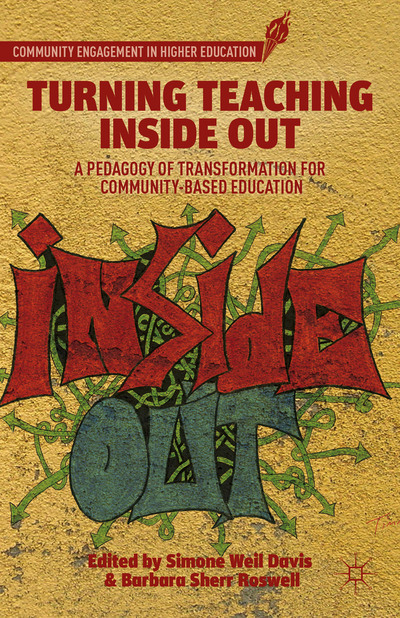 This book is intended for the increasing number of faculty and student affairs administrators – at whatever their level of experience -- who are being are asked to become social justice educators to prepare students to live successfully within, and contribute to, an equitable multicultural society. It will enable facilitators to create programs that go beyond superficial discussion of the issues to fundamentally address the structural and cultural causes of inequity, and provide students with the knowledge and skills to work for a more just society. Beyond theory, design, techniques and advice on practice, the book concludes with a section on supporting student social action. 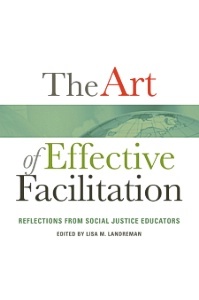 The authors illuminate the art and complexity of facilitation, describe multiple approaches, and discuss the necessary and ongoing reflection process. What sets this book apart is how the authors illustrate these practices through personal narratives of challenges encountered, and by admitting to their struggles and mistakes. They emphasize the need to prepare by taking into account such considerations as the developmental readiness of the participants, and the particular issues and historical context of the campus, before designing and facilitating a social justice training or selecting specific exercises. They pay particular attention to the struggle to teach the goals of social justice education in a language that can be embraced by the general public, and to connect its structural and contextual analyses to real issues inside and outside the classroom. Laker, Jason; Naval, Concepción ; and Mrnjaus, Kornelija, eds. ch. 2 What Is Engagement? Abstract: This book constitutes a guide for student and staff leaders in alternative break (and other community engagement, both domestic and international) programs, offering practical advice, outlining effective program components and practices, and presenting the underlying community engagement and global learning theory. Readers will gain practical skills for implementing each of the eight components of a quality alternative break program developed by Break Away, the national alternative break organization. 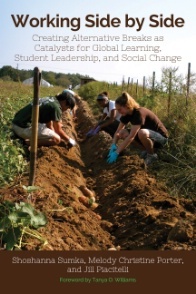 The book advances the field of student-led alternative breaks by identifying the core components of successful programs that develop active citizens. It demonstrates how to address complex social issues, encourage structural analysis of societal inequities, foster volunteer transformation, and identify methods of work in mutually beneficial partnerships. It emphasizes the importance of integrating a justice-centered foundation throughout alternative break programs to complement direct service activities, and promotes long-term work for justice and student transformation by offering strategies for post-travel reorientation and continuing engagement. 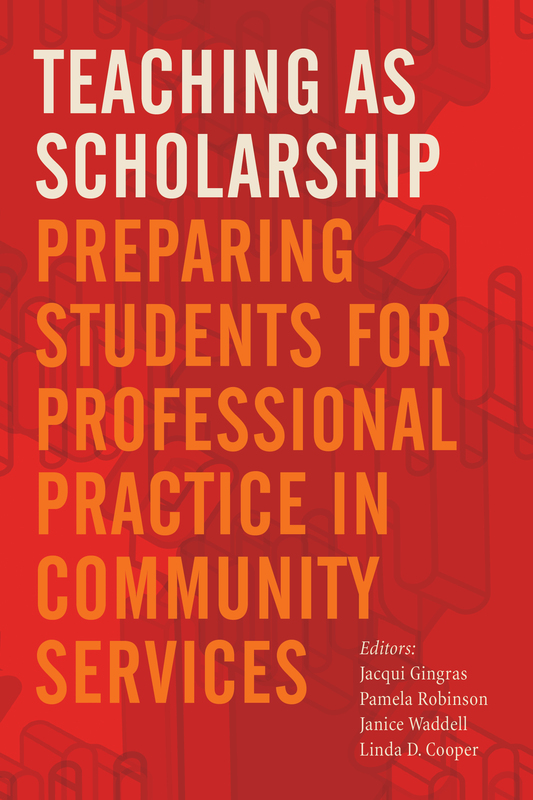 The authors address student leadership development, issue-focused education, questions of power, privilege, and diversity, and the challenges of working in reciprocal partnerships with community organizations. They offer guidance on fundraising, budget management, student recruitment, program structures, the nuts and bolts of planning a trip, risk management, health and safety, and assessment and evaluation. They address the complexities of international service-learning and developing partnerships with grassroots community groups, non-governmental and nonprofit organizations, and intermediary organizations. Davis, Simone Weil; and Roswell, Barbara Sherr, eds. Ronan, Bernie and Kisker, Carrie, eds. - addresses some of the sticky issues such as: What are the outcomes of civic learning programs and practices? How might civic competencies transfer to other settings? Is there a connection between civic skills and those valued in the workplace? 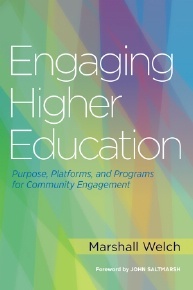 This chapter describes the ways in which civic learning and democratic engagement are incorporated into colleges’ mission and strategic plans, curricula, professional development, and extracurricular programming. 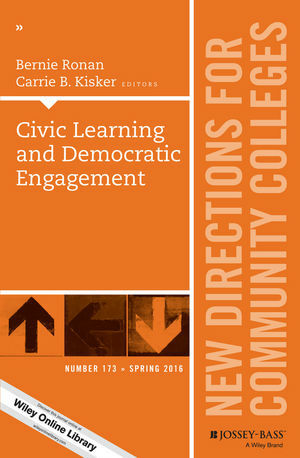 This chapter explores the philosophical roots of civic learning that are essential in helping students become engaged in their communities and active in democracy. This chapter examines how the work of community colleges relates to the democratic work that citizensmust do and makes the case for better alignment between the two. This chapter describes the uncomfortable marriage between political science and civic education and calls for a reformulation of how we engage students in the wicked problems of democracy. This chapter explores the leadership qualities important to the development of civic engagement at a large, suburban community college. This chapter describes the process and challenges of implementing a civic engagement graduation requirement at Kingsborough Community College. This chapter describes fears that may lead to faculty resistance to civic engagement and suggests ways of conquering these fears in order to further develop the civic capacity of our students and our institutions. This chapter describes a Public Achievement partnership between teacher education students at SUNY Broome and students at a local elementary school that led to all participants gaining a stronger sense of themselves as civic change agents in their communities. This chapter describes a 3-year curriculum and faculty development collaboration between the American Association of Colleges and Universities and The Democracy Commitment called Bridging Cultures to Form a Nation: Difference, Community, and Democratic Thinking. 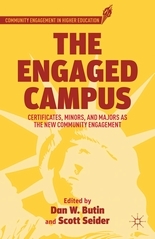 This chapter describes the cocurricular activities offered through The Democracy Commitment at Allegany College of Maryland and the selfreported civic outcomes of its students. This chapter describes the individual and institutional factors leading to greater civic outcomes among students at four The Democracy Commitment colleges in California. This chapter describes Skyline College’s student-centered approach to campus dialogue and deliberation and assesses the transferability of these skills to civic, workplace, and personal settings. This chapter explores the relationship between the civic and workforce missions at Minneapolis Community and Technical College and suggests ways that they might be better integrated. Website for Imagining America, a consortium of universities and organizations committed to advancing the public and civic purposes of humanities, arts, and design. Campus Compact-- national coalition of 1,100+ university presidents committed to fulfilling the civic purposes of higher education. It promotes public and community service that develops citizenship skills, helps campuses forge effective community partnerships, and provides resources for faculty seeking to integrate civic-based. Membership includes public, private, two- and four-year institutions. The Center for Religion and Civic Culture at USC, founded 1996, to create, translate, and disseminate scholarship on the civic role of religion in a globalizing world. 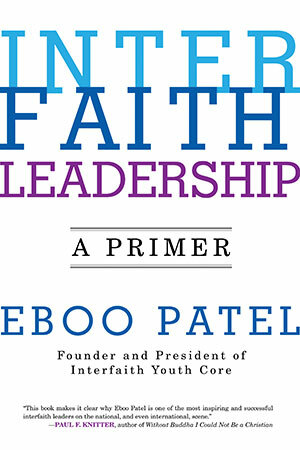 Its innovative partnerships link academics and the faith community to empower emerging leaders through various programs. Beckman, Mary; and Long, Joyce F., eds. 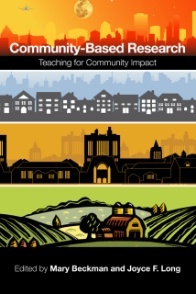 Community-based research (CBR) refers to collaborative investigation by academics and non-academic community members that fosters positive change on a local level. Despite recent trends toward engaged scholarship, few publications demonstrate how to effectively integrate CBR into academic course work or take advantage of its potential for achieving community change. 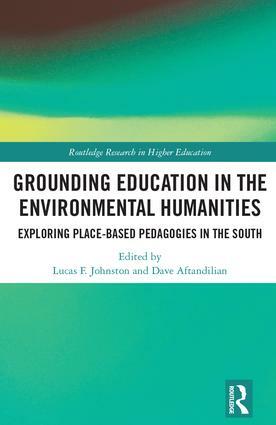 Gingras, Jacquui; Robinson, Pamela; Waddell, Janice; and Cooper, Linda D., eds. Responding to Nicholas Kristof's widely-read NYT piece lamenting the lack of civic engagement by professors, Goldberg describes how academic institutions can punish civic engagement because it distracts from grant procurement or other institutional service. Responding to Nicholas Kristof's widely-read NYT piece lamenting the lack of civic engagement by professors, Robin provides URLs to a great many online "public intellectuals" in several fields. 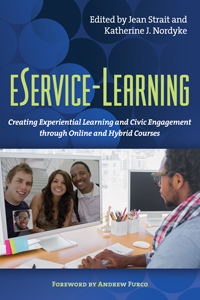 An excellent resource for instructors looking for existing models of "civic engagement." Importance of teaching civic engagement in humanities courses. Project Pericles is a not-for-profit that encourages and facilitates commitments by universities to include social responsibility and participatory citizenship as elements of their education. It works directly with member institutions as they individually and collaboratively develop model civic engagement programs in their classrooms, on their campuses, and in their communities. In Creating Citizens, professors and administrators at Auburn University’s College of Liberal Arts recount valuable, first-hand experiences teaching Community and Civic Engagement (CCE). They demonstrate that, contrary to many expectations, CCE instruction both complements the mission of liberal arts curricula and powerfully advances the fundamental mission of American land-grand institutions. 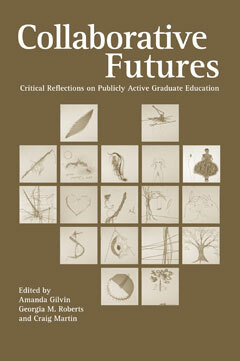 The nine essays in Creating Citizens offer structures for incorporating CCE initiatives into university programs, instructional methods and techniques, and numerous case studies and examples undertaken at Auburn University but applicable at any university. Many contributors describe their own rewarding experiences with CCE and emphasize the ways outreach efforts reinvigorate their teaching or research. Creating Citizens recounts the foundation of land-grant institutions by the Morrill Act of 1862. Their mission is to instruct in agriculture, military science, and mechanics, but these goals augmented rather than replaced an education in the classics, or liberal arts. Land-grant institutions, therefore, have a special calling to provide a broad spectrum of society with an education that not only enriched the personal lives of their students, but the communities they are a part of. Creating Citizens demonstrates the important opportunities CCE instruction represents to any university but are especially close to the heart of the mission of land-grant colleges. Strait, Jean R.; and Nordyke, Katherine, eds. Abstract: This book serves as an introduction to using online teaching technologies and hybrid forms of teaching for experiential learning and civic engagement. Service-learning has kept pace neither with the rapid growth in e-learning in all its forms nor with the reality that an increasing number of students are learning online without exposure to the benefits of this powerful pedagogy. Eservice-learning (electronic service-learning) combines service-learning and on-line learning and enables the delivery of the instruction and/or the service to occur partially or fully online. Eservice-learning allows students anywhere, regardless of geography, physical constraints, work schedule, or other access limitations, to experience service-learning. It reciprocally also equips online learning with a powerful tool for engaging students. In eservice-learning, the core components of service, learning, and reflection may take a different form due to the online medium—for example, reflection often occurs through discussion board interactions, journals, wikis, or blogs in an eservice-learning course. Moreover, the service, though still community-based, creates a world of opportunities to connect students with communities across the globe—as well as at their very own doorstep. 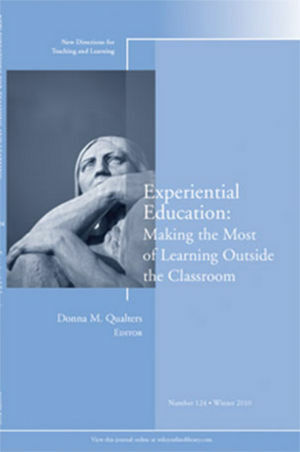 This book introduces the reader to the four emerging types of eservice-learning, from Extreme EService-Learning (XE-SL) classes where 100% of the instruction and 100% of the service occur online, to three distinct forms of hybrid where either the service or the instruction are delivered wholly on-line – with students, for instance, providing online products for far-away community partners – or in which both are delivered on-site and online. It considers the instructional potential of common mobile technologies – phones, tablets and mobile reading devices. The authors also address potential limitations, such as technology challenges, difficulties sustaining three-way communication among the instructor, community partner, and students, and added workload. Clingerman, Forrest and Locklin, Reid B., eds. Abstract: Using a new model focused on four core capacities-intellectual complexity, social location, empathetic accountability, and motivated action--Teaching Civic Engagement explores the significance of religious studies in fostering a vibrant, just, and democratic civic order. 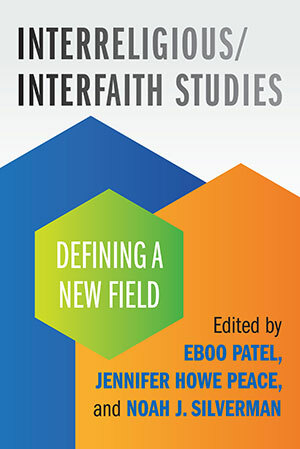 In the first section of the book, contributors detail this theoretical model and offer an initial application to the sources and methods that already define much teaching in the disciplines of religious studies and theology. 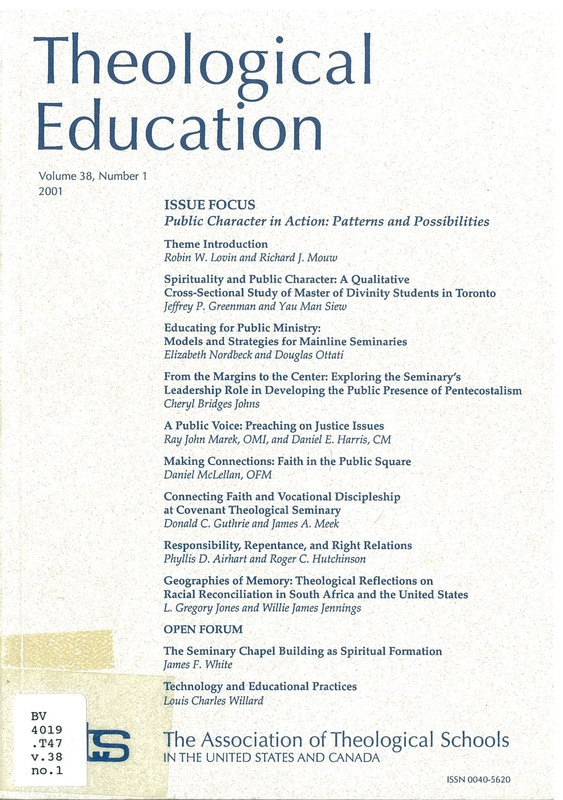 A second section offers chapters focused on specific strategies for teaching civic engagement in religion classrooms, including traditional textual studies, reflective writing, community-based learning, field trips, media analysis, ethnographic methods, direct community engagement and a reflective practice of "ascetic withdrawal." 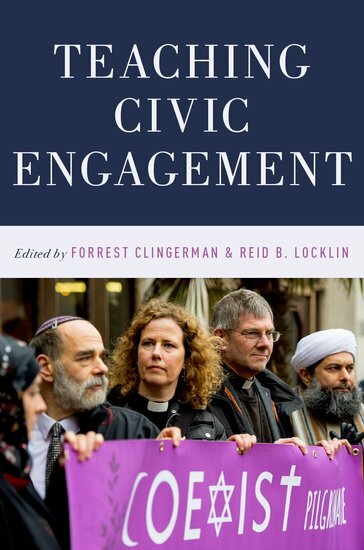 The final section of the volume explores theoretical issues, including the delimitation of the "civic" as a category, connections between local and global in the civic project, the question of political advocacy in the classroom, and the role of normative commitments. Section I: What are the Dimensions of Teaching Civic Engagement in the Religious Studies or Theology Classroom? Section II: What Practical Strategies and Questions Emerge from Teaching Civic Engagement in Religious Studies and Theology? Section III: What are the Theoretical Issues and Challenges in Teaching Civic Engagement in Religious Studies and Theology? An interface between academic learning and civic engagement. The Initiative promotes the divergent thinking of arts and humanities in the service of solutions to real life problems. In 2001, 33 upperclassmen representing 27 colleges gathered at the Johnson Foundation for the Wingspread Summit on Student Civic Engagement. They participated in a group discussion focused on their “civic experiences” in college. Report captures the tensions and promise surrounding meanings that students assign to politics and development as citizens.